The last few months have been especially busy. I posted about our brief trip in the middle of October to see our daughter in western Massachusetts right after the retreat in Ocean City. Two weeks after the trip to the Berkshires, my husband and I went to Hawaii for twelve days. We spent three and a half days on Oahu where the highlights were seeing Pearl Harbor, Shangrila (Doris Duke's house) and spending an evening with our daughter's college roommate and her family. The rest of the trip was spent on the big island, Hawaii, which was fascinating. We learned that it has eleven microclimates and were surprised to see cacti as well as pastures full of cows. There was active lava flow when we were there, but it was at least 100 miles away from us. We both enjoyed seeing Volcano National Park as well as touring a coffee plantation. 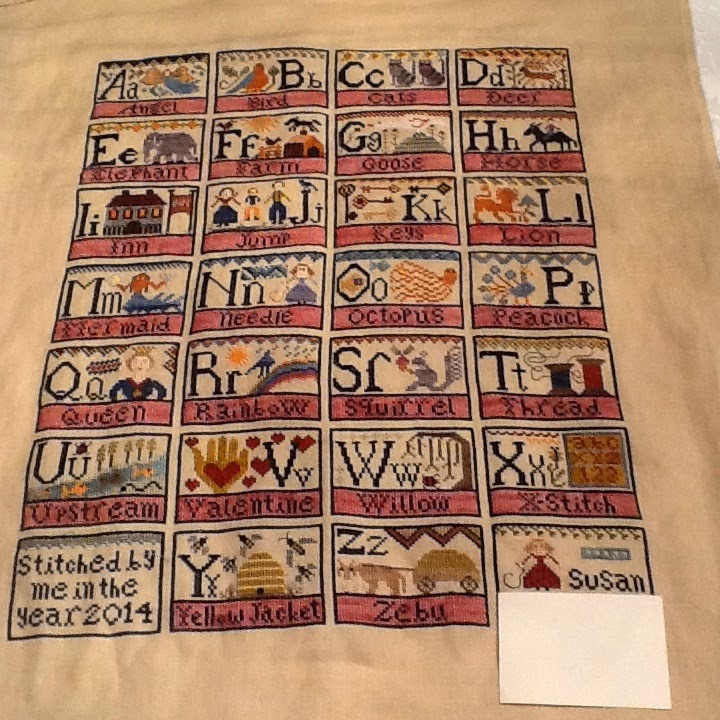 The last few hours of 2014 were spent in reverse stitching on two projects. 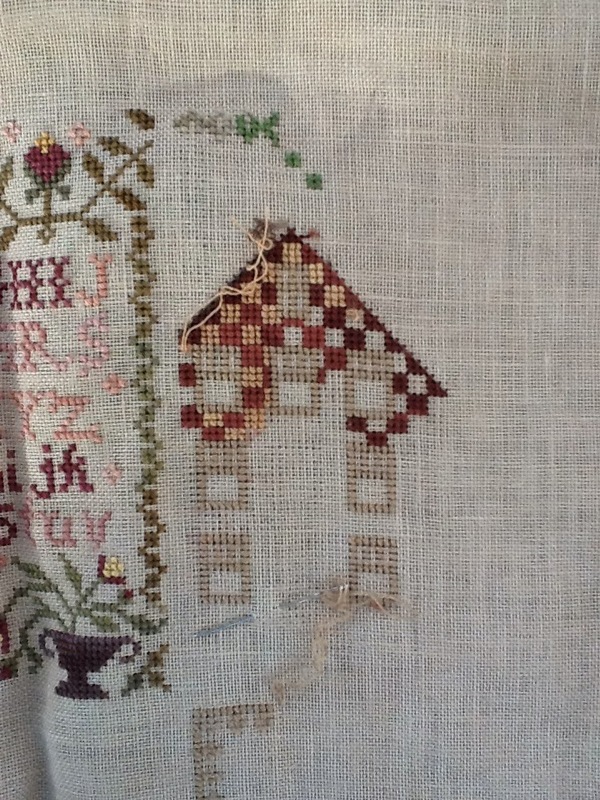 I made an error when stitching the border of the March house in the Blackbird Designs Anniversaries of the Heart* series. I decided I couldn't fudge it so I had to rip out part of the house and start again. Then I got out this ornament to stitch while we watched television last night. I had started it earlier in the year using Impressions for the white. The Impressions wasn't covering well and looked more like cream. So that came out and I put in a few new stitches with DMC perle cotton. I'm going to like this much better! This will be a travel project. All of that reverse stitching led to a very full ort jar. These threads will go out for the birds today.